Morning: Stop in at the Savannah Visitor Center for recommendations of museums with a specific African American focus. 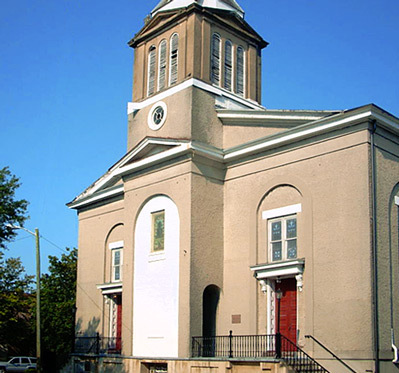 Then visit 1773 First African Baptist Church, the oldest black church in the U.S., which served as a stop on the Underground Railroad. Note the collection of stained-glass windows depicting African American subjects. Then wander down River Street to the African American Families monument on Rousakis Plaza, honoring the cultural, social, educational, economic and spiritual life of the Savannah community. Afternoon: Have lunch at one of River Street’s many cafes before you head south to Darien for your scheduled tour of Sapelo Island. Take the ferry to Sapelo Island and meet the residents of the Geechee-Gullah Hog Hammock community, descendants of African American slaves who once worked the cotton, corn and sugar cane fields Thomas Spalding’s plantation on Sapelo. Arrange a private tour led by one of these residents to really get up close and personal with Sapelo’s history, geography, and propects. One day isn’t enough to see everything, but you can spend the night in the Golden Isles or St. Marys/Kingsland before venturing to Cumberland Island National Seashore the next day. Robert Stafford developed extensive cotton plantations on the island in the early 1800s. At one point in 1846, records show the island was populated by 36 Caucasians and 400 enslaved Africans and African Americans. In the 1890s, The Settlement was established to house black workers on the island. The 1893 First African Baptist Church is one of the few remaining structures of The Settlement today.